In February 2016 we started with the Creative Agency, we all wanted to work together and make things. We created a product line, people with and without the right papers all work together. Creativity is not bound to papers, or borders, it is about skills and what you would like to share! 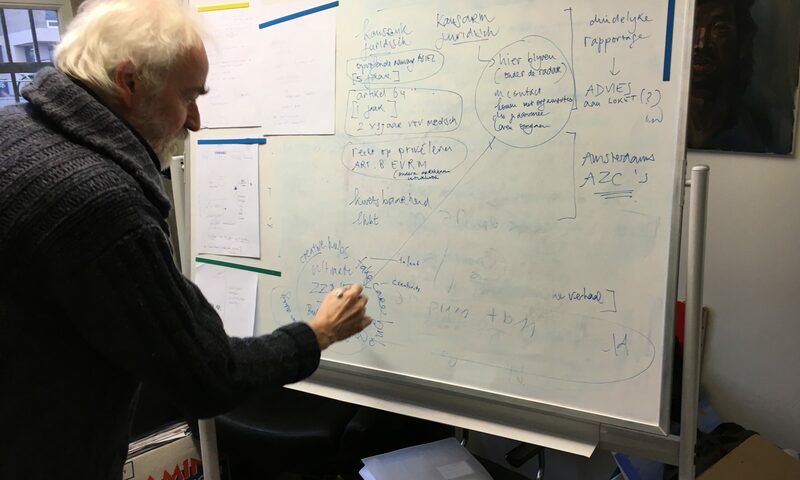 Concepting and dreaming with my friend and colleague Cor Ofman, of a better system for undocumented refugees in Amsterdam. Give them time to rethink, reflect on the past and on the future. What are the legal options, what are the next steps. What is a customized approach if people would like to return, or what to do if people want to continue a life in illegality. Discuss all options, build the trust, give the time to reflect. At the beach we spoke a few guys from Afghanistan and Pakistan. Swimming and letting their clothes dry at the beach. “We are ten friends”, they said smiling “and we would like to go to Germany or France.” They had just registered themselves at the police and they will go to Athens later for transfer. Yes, they arrived from Turkey and no, no problems crossing the seven kilometres of water, the first time they already succeeded! Their contact organised their journey and did not go on the rubber boat. He said good bye at the Turkish coast. Tourists came our way and gave us the eye. And the refugees? They were clearly still euphoric from the crossing. The barman talked about it, after we asked. There are so many refugees at this time, because of the war. They come from Syria, via Turkey, here’s a safe crossing. Boats are wrecked, indeed. By who? By the Greek? Then somebody came up and wanted to order a drink. He said “Sorry, I have to go again.” Not very talkative. Mahmoud from Syria and his brother crossed the sea two times and if he knew it was so dangerous he would had never done it. “No,” he said, “The Coast Guard is only concerned with saving lives, both the Turkish and Greek Coast Guard.” And: “Afghans are very naive, they have no idea what they will do here in Kos and in Europe!” According to him they are less focussed as the Syrians, who apparently know what it means to go to Europe. Mahmoud sympathizes with the Greeks, their life is very difficult, it is a poor country, banks are closed, how do you get your money? Yet they help the refugees. I give him my business card, contact me when you are in Europe. He wants to make a documentary about the situation in Kos. It is night, we are checking the beaches at 3 am in the morning. We saw lights at sea, frantically going back and forth. Is it the Coast Guard, is it a trafficker, a small boat? My sons Luc and Daniel saw a rubber boat leaving, packed with refugees earlier that evening. On both sides 5 people peddling against the strong current and heavy wind. I would like to talk to the refugees before they go, so we head out to the beaches next to our hotel. It’s so dark and windy at the shore. Just imagine… seven kilometres of water, children on board. Although the trafficker gives you a life vest, what’s the use, can it hold you? The water is cold, deep, dark. We drive to the parking lot next to a restaurant, there are people there. We approach them and tell them about my interest in refugees. If felt a bit uneasy. How should we behave? But they work there and don’t speak English really well, with Google Translate we manage. I type: Where do the refugees leave? He types: One beach further. We are going there? I type. He types: I do not want to go there – I do not want to die – you do not go. He walks away, avoiding further Google contact. Then I realise it’s an area with so many contradictions. Police checking the coastline for refugees and the traffickers taking them to the boats. Locals helping refugees and the allegations of illegal Push Back operations by the Turkish and Greek Authorities. In the daytime I am at the beach, clueless like any tourist. In the night time, you are never safe. Back in the Hotel I hear the story about the friend of the manager, he wanted to help the refugees and organised a boat to take them to Greece. The boat got run over by another boat and his friend drowned. “Did he ask money for it?” Yes he did. 1000 euros per person. The boat was wrecked. “It was the Greek police!” he said. Or is it by a rivalising trafficker? I don’t know but there are some really interesting stories here at the Turkish coast. While speakers and attendants are flying in tomorrow for What Design Can Do, another international gathering of a different kind will take place in Amsterdam as well. Wednesday afternoon football international and technical trainer at Ajax Amsterdam Brian Roy will train the We Are Here football team formed by asylum seekers whose applications have been rejected. 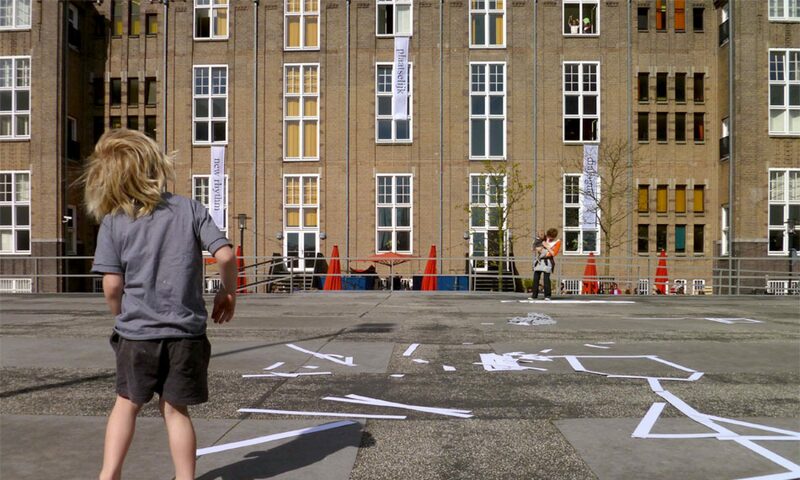 We Are Here FC is part of a more extensive project by designer / artist Annette Kouwenhoven. 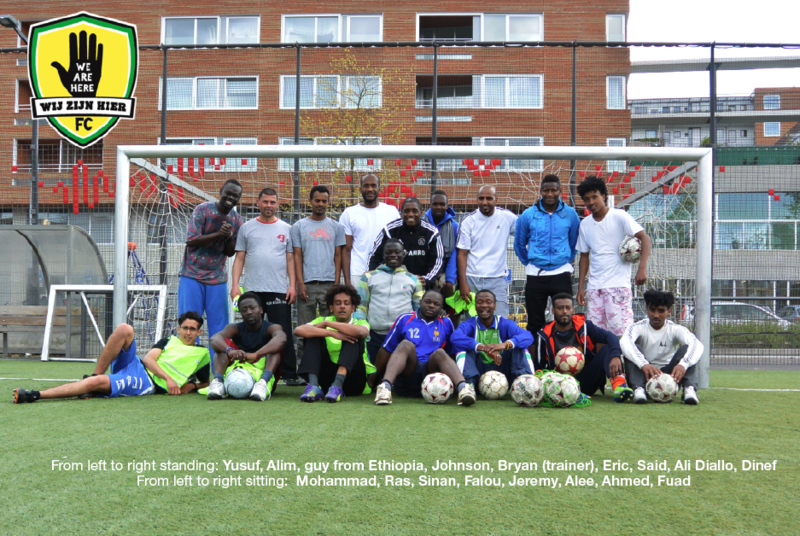 The football team, led by Yusuf Adam, recruits players from the We Are Here group of rejected asylum seekers who are wandering about Amsterdam for more than two years now. The group inhabited different vacant buildings in the city. Without the possibility to return to their countries of origin the group confidently manifests itself under the We Are Here banner. We Are Here FC is sponsored by Wereldhuis, a centre for undocumented people in Amsterdam. The training on Wednesday starts at 14:00 hours at VV Spartaan in Amsterdam West. ‘Anyone who wants to come and support us is more than welcome,’ Kouwenhoven says. ‘We can also use any football shoes or shinguards people want to share. Additional sponsoring is welcome too’, she adds with a grin.